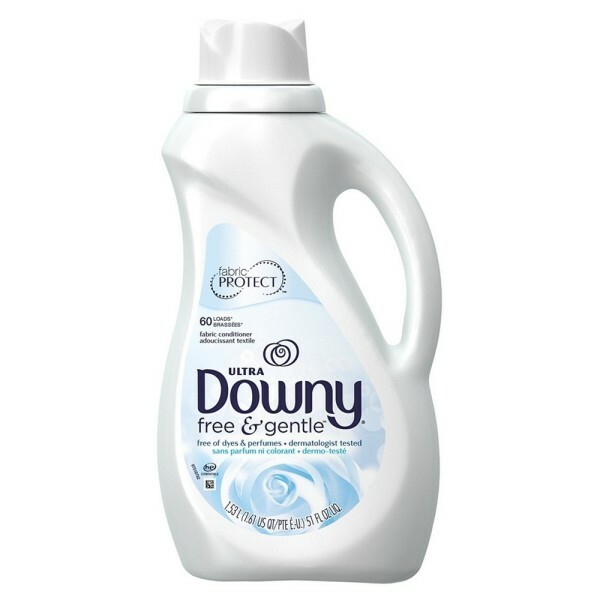 "PROCTER & GAMBLE" DOWNY LIQUID FABRIC SOFTENER Experience all the softness of Downy free from dyes, perfumes, and worries. Ultra Downy Free & Sensitive is the leading "free" fabric softener thats also 100% dermatologist tested. So you can focus on enjoying fabrics that are wonderfully soft with less static and fewer wrinkles. Liquid Fabric Softener, Free & Sensitive, 51-oz.